There continues to be a number of government initiatives, orders, and policies formalizing the continuing desire to increase the effectiveness and efficiency of information technology. The Federal Data Center Consolidation Initiative (FDCCI), Cloud Smart, and the Modernizing Government Technology Act (MGT-A) are all examples of drivers meant to improve government's IT infrastructure. Whether providing the foundation for enhanced citizen services or supporting communications within an agency, Information Technology Infrastructure is the backbone of modern government. New technologies provide greater performance, reduced costs, increased flexibility, and improved value for the taxpayer's dollars. At DLT, we have cultivated strategic relationships with IT Infrastructure vendors who can support modern mission requirements. Whether looking for the latest in storage technology, the right virtualization control plane, public or private cloud infrastructure, or the right IT management tools to manage these increasingly complex — and hybrid — environments, DLT has you covered. There are a wide range of IT infrastructure options for today’s IT engineers and architects to build just the right platform for public sector IT workloads. One kind of technology does not fit all government requirements and a selection of proven technologies gives government and partners the choice necessary to meet government requirements in the most efficient and effective manner. 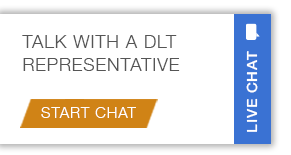 Whether the requirements lend themselves to traditional client-server architectures, appliances, modern storage platforms, virtualization, or cloud base infrastructures or platforms, DLT has assembled the right portfolio of vendors with an ecosystem of proven resellers, consulting firms and system integrators to provide just the right solution to government challenges. Building the right architecture for a government IT service is simply the first step. Once that service goes into production it must be managed. IT management is becoming increasingly complicated given the many technology options that are being used in designing a modern architecture. Operations teams must take into account legacy IT environments, virtualized systems, private and public cloud services with their various service models of IaaS, PaaS, and SaaS, and all of these technologies should be taken into account when developing the necessary skills and management toolchain. DLT has developed the DLT IT Management Framework to represent the common management components within an enterprise IT environment. This framework is available to partners and customers as an aid to developing their own customized management tool chain strategy. Element and resource management are at the heart of IT. If this layer is not solid, then everything else can topple. This layer is focused on the actual provisioning, administration and ongoing maintenance of systems and software. It provides for the basic telemetry and data on which all other advanced analysis and decisions are based. Event and information management begins to focus on the formalization of workflows and decision making. Whether it is the tracking of all configuration items, the collection of event data to more proactive activities like performance analysis and capacity planning, these technologies begin to look at the collection of software and hardware as cohesive IT services and treats them accordingly. The data repository – or repositories – is where the configurations items, definitive software library, and element and resource event data are stored in support of Event and Information Management, Service Management, and IT Processes, Workflow, and Enablement. Service Management incorporates the disciplines of Service Delivery to include overall portfolio management, service or operating level agreements and corresponding key performance indicators. It also include more advanced analysis of IT services with event correlation and analytics. Increasingly artificial intelligence or machine learning technologies are being incorporated into these kinds of IT management technologies. Administrators, architects and engineers need the right tools to manage the human element of information technology. Having case management, workload automation, and knowledge assets and systems are all critical to the smooth running of IT and its interaction with customers.